Veteran Ghanaian Actor George Williams is dead. 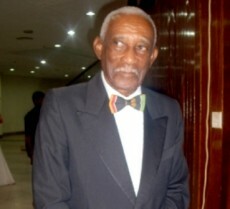 The 87-year-old actor died Sunday down at the KorleBu Teaching Hospital in Accra, a close relative confirmed to ghnewsnow.com. He reportedly complained of some ailment at home and was rushed to the hospital where he gave up the ghost. Mr. Williams who taught at the Accra Film School is known for his pioneering role in the movie industry in Ghana. He featured in several Ghanaian movies and series including, Ultimate Paradise, Mama, Genesis Chapter X and Bloody Kids among others.